While no Netflix films will be competing at the Cannes Film Festival this year, the streaming service did already close a deal for a new film as the festival kicks off. 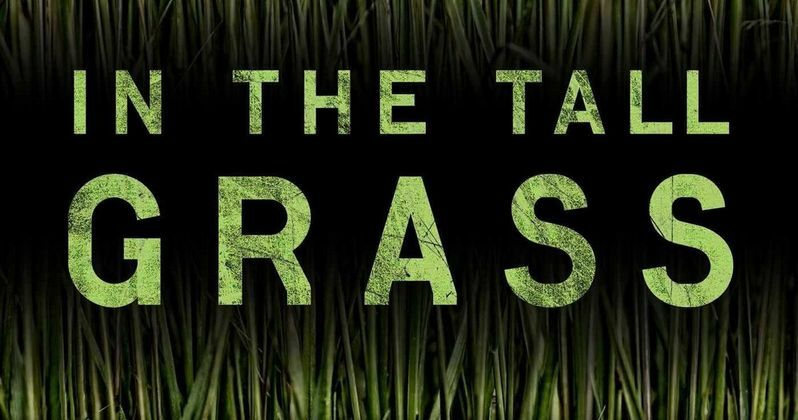 Netflix has closed a deal to obtain the rights to the novella In the Tall Grass, written by Stephen King and his son Joe Hill, with James Marsden in talks to star with Vincenzo Natali adapting the novella and directing. While no release date has been given yet, production is slated to begin later this summer in Toronto, so it's possible that it could be ready for release on Netflix next year. In the Tall Grass was first published in two parts, in the June/July 2012 edition of Esquire and then in the August 2012 edition of the magazine, which marked the second father and son collaboration between King and Hill since the 2009 novella Throttle. In the Tall Grass centers on Cal and Becky Demuth, inseparable siblings who were born 19 months apart. Becky finds out she's pregnant during her sophomore year of college, which prompts their parents to suggest Becky live with her aunt and uncle until the baby is born, and Cal comes along for the ride, since their trip falls over spring break. During their trip, the siblings visit a number of tourist destinations including the world's largest ball of twine, before they come across a vast field, where they hear a boy named Tobin crying out for help. The twins decide to enter the field to help young Tobin, but soon realize that they may never get to leave. In October 2012, just a few months after the story's initial publication in Esquire, In the Tall Grass was released as an e-book and an audiobook, with the latter narrated by actor Stephen Lang. As for James Marsden's role, it's possible that he could be playing Ross, the father of Tobin and the husband of Tobin's mother Natalie, who is also briefly heard by Cal and Becky in the field. It's also possible that Marsden could be playing Cal and Becky's uncle, but until his role is confirmed, his role will remain uncertain. With production beginning quite soon, it's possible we'll learn more about who James Marsden will be playing, as the rest of the cast starts to fill out. Since there aren't any other characters in the book aside from the ones that have already been mentioned, it may not take long for the cast to be rounded out. Vincenzo Natali, who is best known for cult hits Cube, Cypher and Splice, is directing from his own adapted screenplay, with Jimmy Miller (Holmes and Watson) and M. Riley (The Lazarus Effect) producing with Steve Hoban (Splice). This acquisition keeps Netflix in business with Stephen King, following last year which saw two Stephen King adaptations debut on the streaming service, Gerald's Game and 1922. It's their first project with his son Joe Hill. Vincenzo Natali hasn't directed a film since 2013's Haunter, but he has been keeping busy on the small screen, directing episodes of Hannibal, Orphan Black, Wayward Pines, Luke Cage, American Gods, Westworld, Lost In Space and the pilot for the Tremors TV series starring Kevin Bacon, which was recently canceled by Syfy. Deadline first broke the news about In the Tall Grass earlier today.